Dagmar Overbye pretended to be a child caretaker. But all she did was kill the children left in her care. YouTubeDagmar Overbye murdered as many as 25 children. Dagmar Overbye was a Danish woman born on April 23, 1887. Based on the crimes she committed, it’s hard to place her in any other category besides pure evil. Overbye lived in Denmark and worked as a child caretaker. In 1912, she gave birth to a daughter of her own and in 1915, she moved from the small village of Assendrup to Copenhagen. In Copenhagen, she opened and operated a business where she acted as the go-between for families looking to adopt and mothers of unwanted babies. As this middle-woman, she would care for the children while she found proper homes for them. Mothers who had children outside of marriage used this unofficial adoption agency, handing over money and their newborns to Overbye. What these women didn’t know was that their infants would never be placed in the happy homes of loving families. 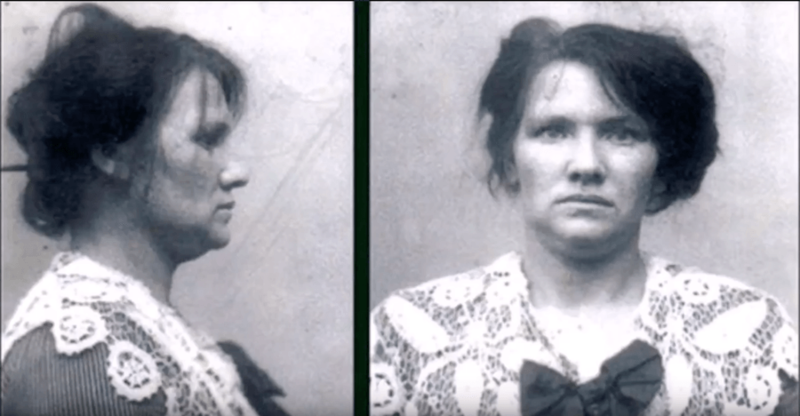 Between 1913 and 1920, Dagmar Overbye murdered as many as 25 children placed in her care, one of which was her own. She either strangled, drowned, or burned them to death in her masonry heater. Then she either hid the cremated ashes in her stove or buried the corpses. Almost as terrifying as the crimes themselves, the discovery of the atrocities was essentially by chance. A young mother named Karoline Aagesen placed a classified ad in the paper as she had just given birth to an illegitimate daughter and was looking for a family to adopt the child. The murderess came across the ad and contacted Aagesen, who paid the Overbye and left her daughter. However, the following day, Aagesen regretted her decision to give the baby up. When she asked for the child back, Overbye said that she couldn’t remember the address of the family. This aroused suspicion in Aagesen and caused her to report the incident to the police. The police arrived at Overbye’s apartment, located in the Vesterbro district, and searched it. First, they found the baby’s clothes. Then, they discovered the grim remains of her bones and skull in the stove. Paul Fjeldgard, an officer on the case, stated in an interview 86 years after the event that he recalled opening a cupboard to find tiny burnt bone fragments. Dagmar Overbye was arrested, after which she admitted to murdering 16 children. Despite her confession, she was only convicted of murdering nine due to lack of evidence. 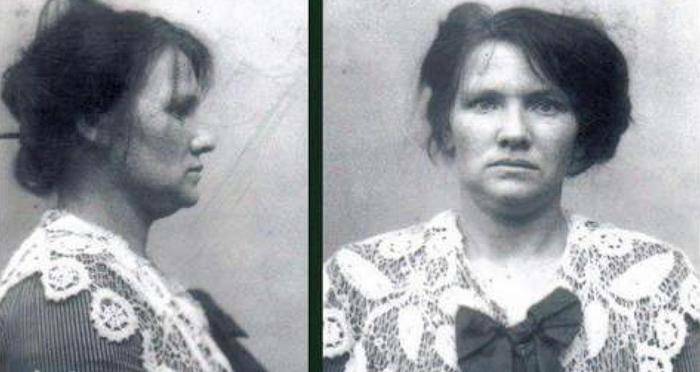 In 1921, she was found guilty and given the death penalty, making her the first woman sentenced to death since 1861. However, the reigning monarch, Christian X, was against the death penalty for women saying that in an enlightened Denmark, “we don’t put our women to death.” Thus, her sentence was commuted to life in prison. The trial was one of the most talked about at the time. It was also noted as a historical one in Danish history because it placed a major focus on childcare legislation reform. It recognized that unwanted children were a responsibility of the government. In 1923, as a direct result of the Dagmar Overby case, the Danish government passed a law regarding foster children which required the establishment of public homes for children born out of wedlock. After you read this article, read about the baby who was caught by a bystander after being thrown from the ninth floor of a London building. Then take a look at these 21 chilling serial killer quotes.